Ryan Smith, the Game Director from Insomniac Games, has confirmed via PlayStation Blog that players will have three new suits to pick out for Spider-Man in the first DLC ‘The Heist’ on October 23rd. The Heist is one of three upcoming DLC for Marvel’s Spider-Man: The City That Never Sleeps DLC Series. The three suits include the Resilient Suit by Marvel illustrator Gabriele Dell’Otto. Dell’Otto has produced work for Marvel since the late ’90s and worked on previous Marvel video games such as Marvel: Ultimate Alliance. 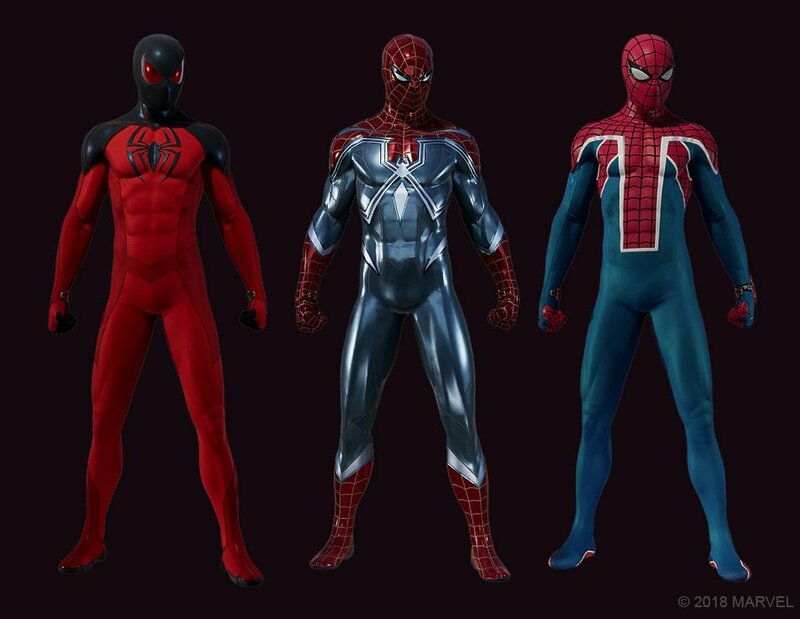 The two others are Spidey’s suit from Scarlet Spider II and the Spider-UK suit from the Spider-Verse. The Heist launches the first chapter of the interconnected story that you can complete over the three DLC of The City That Never Sleeps. It features an appearance from Spider-Man’s old sweetheart Black Cat and presents a new faction of enemies, new crimes, new challenges and new trophies. Insomniac Games’ Spider-Man was released last month. You can read our spoiler-free review here.